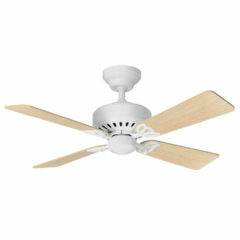 Featuring four 42″ timber blades, the Hunter Bayport is a quality ceiling fan with a traditional style. 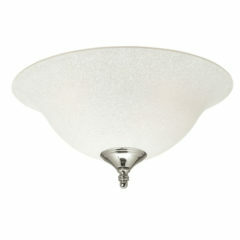 It is a compact fan that will perform well in smaller rooms and bedrooms. 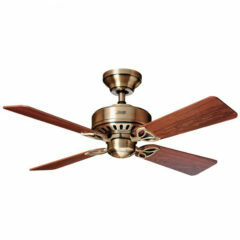 This fan comes with switch blades in maple/cherry colours to complement a variety of spaces. 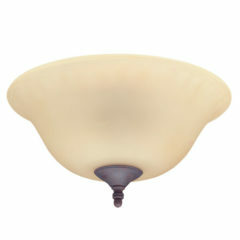 The Hunter Bayport is a traditional, compact fan, ideal for small rooms and bedrooms. It has a white motor and features 4 reversible, plywood blades in maple and cherry. 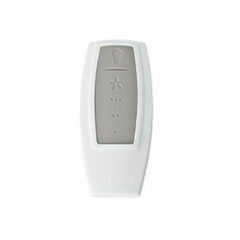 The Hunter Bayport ceiling fan is pull cord operated as standard, see alternative listing for alternative options or the accessories listed below. It features Hunter’s patented Whisper Wind motor, a WobbleFree™ canopy with Anti Vibration Technology and triangular hanger ball system giving it the ability to self-balance, eliminate wobble and perform smoothly. A 62W motor with heavy gauge copper windings, laminations, precision sealed bearings, and multiple cooling fins, all in a die cast aluminium housing ensure the fans durability. 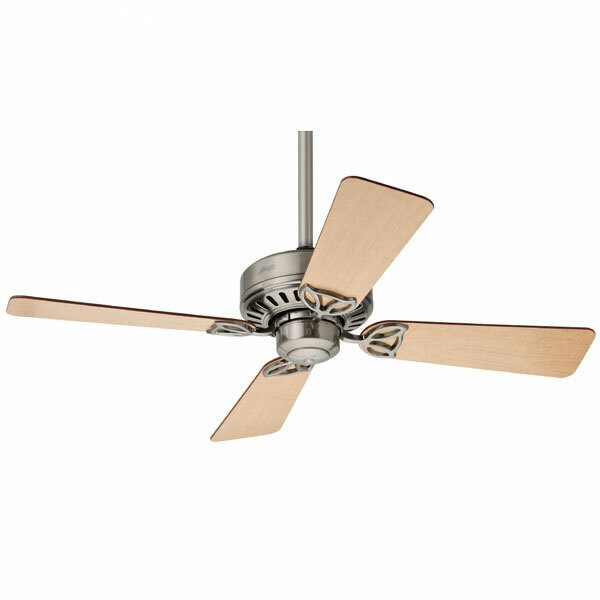 Featuring four 42″ timber blades, the Hunter Bayport is a quality ceiling fan with a traditional style. It is a compact fan that will perform well in smaller rooms and bedrooms. With the choice of white or light oak blades, you can complement a variety of spaces. Featuring four 42″ timber blades, the Hunter Bayport is a quality ceiling fan with a traditional style. 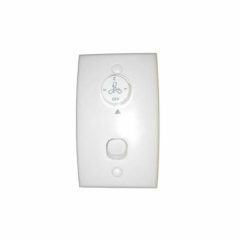 It is a compact fan that will perform well in smaller rooms and bedrooms. With switch reversible blades in rosewood/medium oak, you can complement a variety of spaces.